In 2012, Shaanxi Auto achieved a leading position in the booming natural gas heavy truck market with sales of 7,000 natural gas heavy trucks. However, with the emphasis placed on natural gas heavy trucks by other heavy truck companies and the gradual expansion of the market, Shaanxi Automobile will face more challenges in its leading position in the natural gas heavy truck market in 2013. In 2013, how will domestic major manufacturers compete in the natural gas heavy truck market? In 2012, the heavy-duty truck industry continued to slump, but natural-gas vehicles were "satisfactory in terms of scenery." Most of the heavy-duty truck companies have all gained in this segment of the market. At the Shaanxi Automobile Business Conference held recently, Zhou Yin, Assistant to General Manager of Shaanxi Automobile and General Manager of the sales company, revealed to the reporter of the first commercial vehicle network that Shaanxi Automobile's natural gas heavy truck annual orders exceeded 7,000 units in 2012, and it is expected that the market share More than 50%. Second only to Shaanqi, Yun Qingtian, general manager of China National Heavy Duty Truck Sales Department, said at the 2013 annual conference of heavy trucks that the group sold more than 5,000 natural gas trucks in 2012. â€œOnly in November 2012, SINOCHEM made an order for 872 natural gas trucks. Among them, 570 Jinan Truck Company and 302 Jining Commercial Vehicles. The models include tractors, dump trucks, mixer trucks, truck-mounted vehicles, and oil field trucks. Cargo chassis, mining vehicles, etc." At the 2013 FAW Jiefang Business Conference, Zhang Bing, general manager of FAW Jiefang Sales Co., also stated that in 2012, it had sold a total of 3,000 natural gas trucks. â€œCompared with 2012, sales of JAC LNG heavy trucks increased several times in 2013.â€ Jiang Xinghuai, general manager of Jianghuai Heavy Commercial Vehicles Company, said that although JAC is still in the â€œmarket introduction phaseâ€ in the LNG heavy truck market, in 2012, Its natural gas heavy trucks have formed bulk orders in Urumqi, Xiangyang, Ningbo, Tianjin and other places, of which 100 large orders are delivered to Tianjin, making it the largest bulk order for local LNG heavy trucks. In addition, some other areas, such as Qingdao and Lianyungang, have also formed a certain degree of purchasing interest. The relevant person in charge of Valin Motors disclosed to reporters that in 2012, Valin Xingma sold 430 natural gas heavy trucks, and the sales regions were mainly distributed in Shandong, Anhui, Hebei, and Tianjin. The models included tractors, mixers, dump trucks, and Mine dump trucks, among which 100 heavy gas trucks are exported to foreign countries. In 2012, Beiben also achieved significant growth in the gas vehicle market. According to a staff member of the Beiben Heavy Duty Truck Marketing Department, Bei Ben sold approximately 1600 natural gas heavy trucks in 2012. Its main models are tractors and lightweight dump trucks. As a heavy truck newcomer, Union Truck also performed well. Liu Bo, chairman of United Trucks Marketing Service Co., Ltd., said that the combined sales of natural gas trucks in 2012 accounted for about 20% of its annual sales, and about 500 vehicles. Due to the booming natural gas heavy-duty market in 2012 and the improvement of infrastructure such as gas refueling stations in PetroChina and Sinopec, heavy-duty truck companies are optimistic about the development of the natural gas heavy truck market in 2013. Although it is a leader in natural gas heavy trucks, Shaanxi Automobile did not dare to take lightly on 2013 when it arrived. In the face of fierce competition in 2013, Shaanxi Automobile launched the 2013 full-value smart-line version of natural gas products. According to reports, this product has been optimized and improved through various technologies. The vehicle has lighter weight, lower gas consumption, and higher reliability. It is also equipped with the Tianxing Genzhi version smart service terminal. The frame is switched from the 780 frame to the front. 940 after 850 variable width frame, better vehicle stability, more reasonable gas tank layout. Fang Hongwei, chairman of Shaanxi Automobile Group, stated that Shaanxi Automobile will continue to be optimistic about the development prospects of natural gas heavy trucks, and natural gas heavy trucks will also become the main target of Shaanxi Automobile's R&D series. For heavy gas market in 2013, Sinotruk is also full of confidence. According to a person in charge of CNHTC, in 2013, with the continuous improvement of gas filling stations and other facilities, the natural gas heavy truck market will show explosive growth, and it is expected to exceed 30,000 vehicles. â€œAt the same time of promoting road tractors, China National Heavy Duty Truck also began to pay attention to the engineering dump truck and mixer truck market. In 2013, the natural gas construction vehicle market will become a bright spot.â€ According to Yun Qingtian, in 2012, Sinotruk has sold gas projects since More than 900 unloaders. He predicted that in addition to tractors, natural gas trucks from China National Heavy Duty Truck in 2013 will continue to load quantities of dump trucks and mixers. "In 2013, CNHTC's sales target for natural gas trucks was 10,000." FAW liberation is equally optimistic about the natural gas heavy truck market in 2013. Zhang Bing said that in 2013, the liberated medium-duty truck sales target was 169,000 units, and the market share should reach 17.5%. In order to accomplish this goal, Liberation will use natural gas heavy trucks as one of its key strategic products. According to reports, the goal of liberating natural gas trucks in 2013 will reach 7,000 vehicles. Liu Bo told reporters that since the first year of listing, United Trucks has positioned natural gas heavy trucks as its strategic products, and together with diesel heavy trucks it has formed the company's two major product pillar platforms. In 2012, Jirui LNG heavy trucks equipped with Yuchai's 13-litre 6K13N engines were officially launched. Zhang Zhiguo, deputy general manager of United Trucks Marketing Services Co., Ltd., told reporters that the combined trucks have assembled excellent domestic refitting plants to create integrated LNGs for customers. product. In addition, United Trucks and natural gas suppliers such as CNPC form a "gas supply aircraft carrier" to provide users with integrated solutions including gas station construction, natural gas supply, transportation and operation to solve customers' worries. In the face of a natural gas heavy truck market with great development potential, some heavy truck companies that have not previously invested too much in this area are also unable to hold it. In May 2012, when interviewing a staff member of Dongfeng Commercial Vehicle Company, the reporter stated that although Dongfeng has some natural gas products, it still has certain doubts about promoting large-scale natural gas heavy trucks. However, at the Wuhan Commercial Vehicle Show held in November 2012, Dongfeng Commercial Vehicles brought in a natural gas heavy truck that uses the new Tianlong cab. It can be seen that Dongfeng Commercial Vehicles still have great hopes for expanding the natural gas heavy truck market. In addition, SAIC Iveco Hongyan also saw the potential of the natural gas heavy truck market. On December 18, 2012, Hongyan released the Jieshi LNG high-lift tractor in Chengdu at a price of 381,800 yuan and plans to sell 300 vehicles in 2013. The engine power of the car is between 350-380 hp and torque is 1400-1500 (N/m). It has high economical efficiency and reliability. The standard load is 55 tons, and the air consumption per hundred kilometers is 35kg, which is lower than that of similar models in the industry. 3% air consumption; the vehicle design meets the requirements of the suspension and transportation. 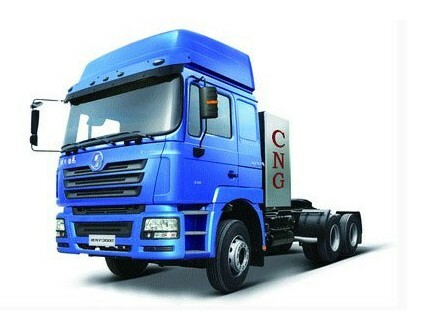 Hongyan, which suffered a severe decline in 2012, hopes to gain a slice of the gas vehicle market in 2013 with the help of this natural gas heavy truck. JAC heavy trucks are even more at every step. In 2012, new Jianghuai LNG tractors and dump trucks entered the market and formed batch orders in some regions. Xiang Xingchu said that the main task of JAC is still to explore and understand the characteristics of natural gas products, the use of the environment and the user's service needs; at the same time will continue to use the special line of transport service model, focusing on implementation of key breakthroughs in key markets. "In 2013, the growth of JAC LNG heavy trucks should not be excessive in terms of doubling." If we say that most of the heavy truck companies are still preparing or deploying natural gas markets in 2012, in 2013, with heavy investment by heavy truck companies in this area, the natural gas heavy truck market will necessarily become the red sea where many companies compete.